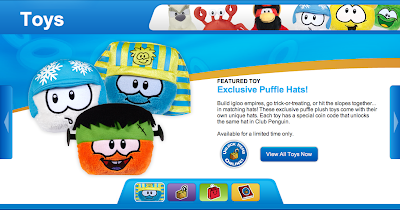 Club Penguin Cheats by Mimo777 Club Penguin Cheats by Mimo777: Club Penguin Plush Puffles With Hats! These Club Penguin Toys are super, sweet & smoove! Are you going to try to get some of these? Which one do you plan to get? So cute! I want the blue one with the pharaoh's hat. LOL! They look like characters from South Park! I like the white one because it looks like a baby! So Cute!